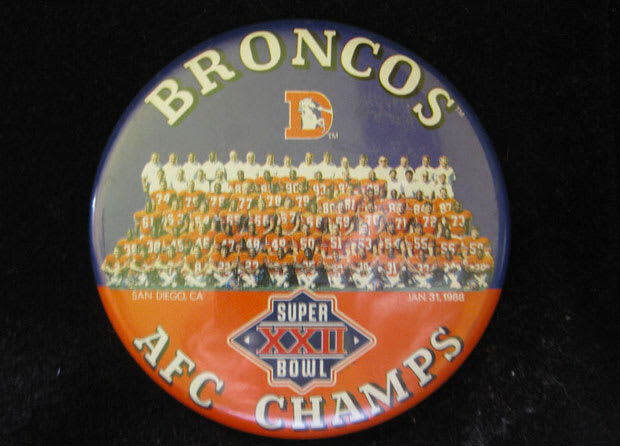 Ahead of the 1988 Super Bowl, Broncos fans could display their AFC championship through all sorts of terrific memorabilia. This button, with full team photo, is one of the great pieces available now on Ebay. And, it is a terrific reminder that before the Tebow craze, Mile High Stadium had its fair share of celebration.